I have received a BenchTop Pro portable parts cleaning system for review. It was supplied to me at no cost by ChemFree Corporation of Norcross Georgia (www.thebenchtoppro.com). The unit arrived in a heavy-walled cardboard box. I believe the packaging is heavy enough to prevent most shipping damage. On the outside of the box is attached an MSDS for the chemicals that ship with the unit. This should be saved. Removing the unit from the box is as straight forward as lifting it out; the weight is 31 pounds. All sides of the unit have informational or cautionary labels. Releasing the latch and opening the units lid reveals another box, hose and brush, power and pump compartment and some literature. This included an operations manual and a warranty card. The operations manual explains first time use. It may be good to have the manual on the unit in the box. The first instructions are how to open the unit, you had to do this to get to the manual. 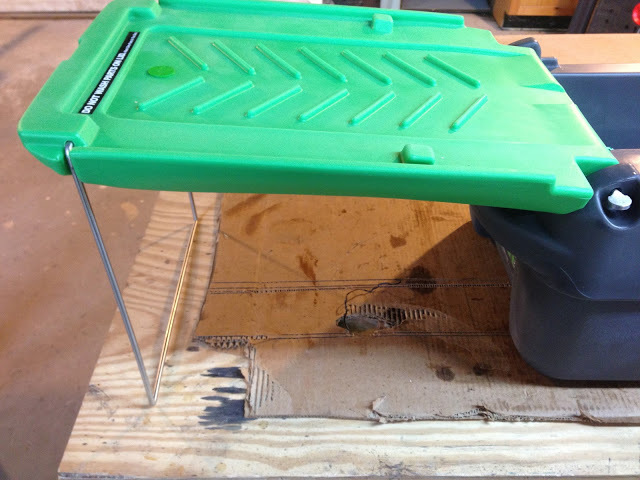 The lid also functions as a drain board. There is a label stating not to wash parts on the lid, but more on this later. There is a bail wire that when flipped around acts as a stand/support for the lid. The brush has an off/on valve to control flow. I found it most convenient to hold the brush as you would a pencil, then operate the valve with the palm of your hand. The power supply and cord are stored under the labeled cover. The power supply is 120 VAC to 12VAC. The cord contains the unit’s power switch. The box contains 1 gallon of BT5 degreasing solution and 4 packs of MicroPro Pack. The BT5 is poured into the unit, 2 gallons of water are then added to the unit. The water increases the weight of the unit to approximately 47 pounds. One (1) pack of MicroPro is added, directly into the drain screen of the unit. As you can see from the picture, this just isn’t good. It is the ring gear from the front differential of my 855 John Deere tractor. 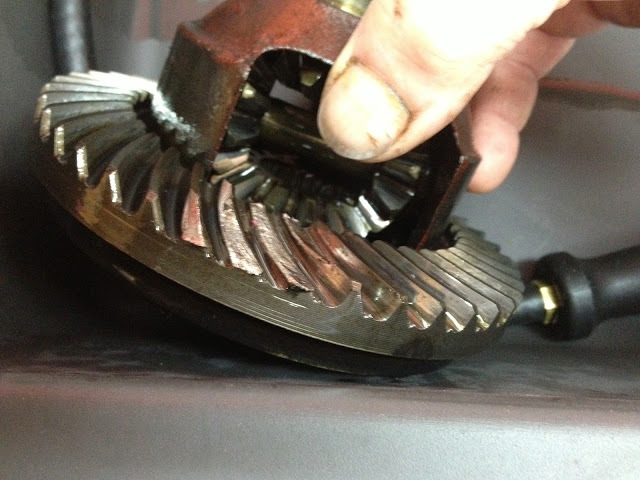 Differential gear oil is heavy and has a very pungent odor. A good test for the BenchTop Pro. The creators of the BenchTop Pro market it as a portable unit. In my application, it really did work well. 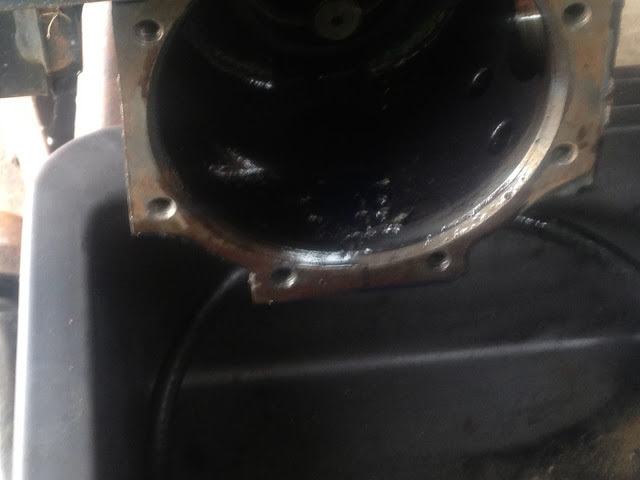 Not only did I have to clean the removed parts, but the differential housing must be cleaned also. I was able to easily bring the BenchTop Pro to where the work needed to be done. With the tractor raised and supported on stand jacks, I was able to slide the BenchTop Pro under both the final drive housing and the differential housing. As I’d do with any cleaning processes when broken metal would be present, I removed the large shards with a magnet prior to washing. 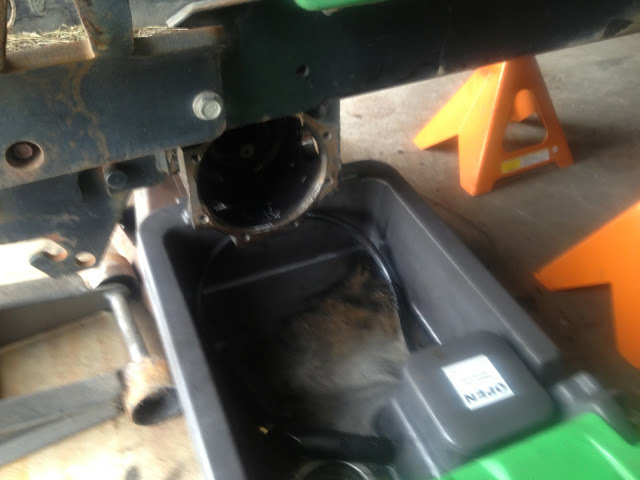 After the parts are washed and the inside of the unit and lid have been wiped down, flip the lid stand in its stored position, close the lid and latch it. The unit can be stored vertically or horizontally. 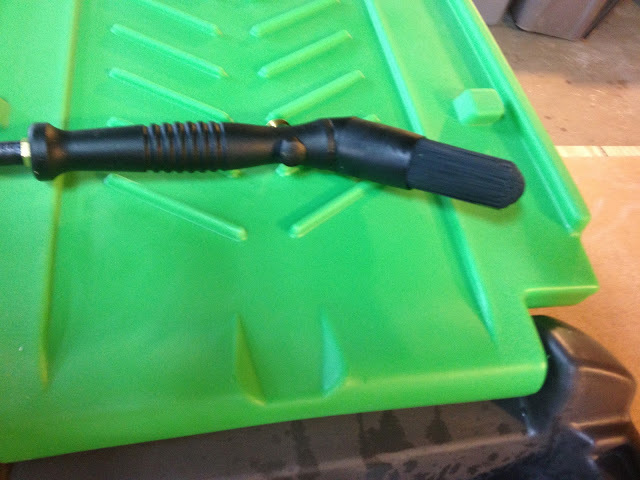 There is a large carry handle for vertical carrying; the handle is on the drain end of the unit. There are hand holds at each end of the unit for horizontal carrying. Sloshing of the fluid while the unit is vertical will cause some leakage at the lid latch area. 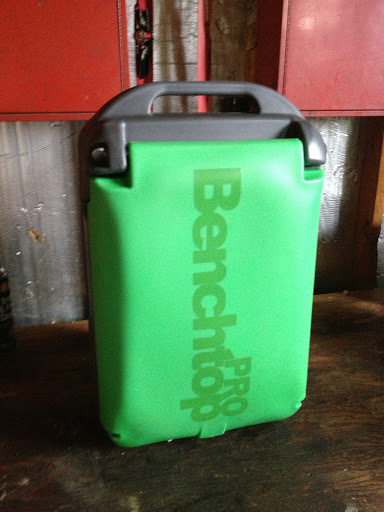 The BenchTop Pro I received strong enough not to flex while carried. The hinge, lid support and latch worked well. There were no sharp edges or moulding flash. I did find that the extra packets of MicroPro fit well in the cord compartment. This is a good place to keep the packets, if the unit is used weekly a packet needs to be added every 2 weeks. Two packets added if used less than once a month. A small amount of fluid draining off the parts on the drain board did run between the lid and the main body onto the bench. I washed the inside of the drain board prior to storing the unit, and no matter what the position of the lid, fluid leaked between the lid and main body. According to ChemFree, the BT5 does not alter the freezing point of the water added in the setup of the unit. Freezing does not affect the MicroPro (also according to ChemFree). If the solution freezes, once thawed the BenchTop Pro is ready for use. Freezing may damage the pump. As noted earlier, the power supply/transformer is 120VAC to 12VAC. I feel that the freezing possibility and the AC power requirement may prevent this from being a true field-use tool. At times a 120VAC power source may not be easily available. A 12VDC pump and 120VAC to 12VDC power supply can solve the power issue. 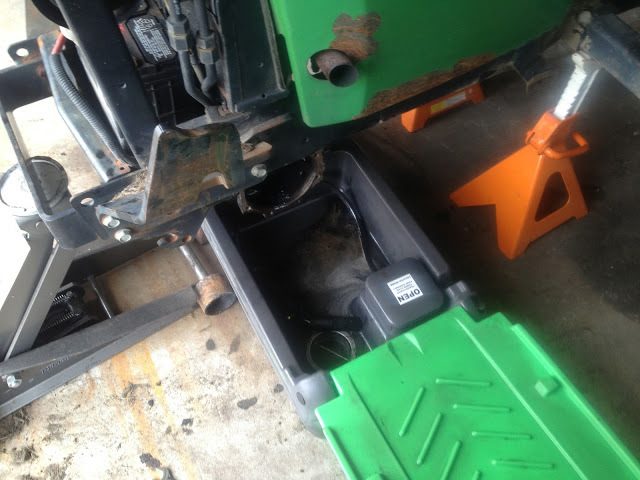 With a 12VDC pump, the unit could be run off of the service vehicles battery or power point. 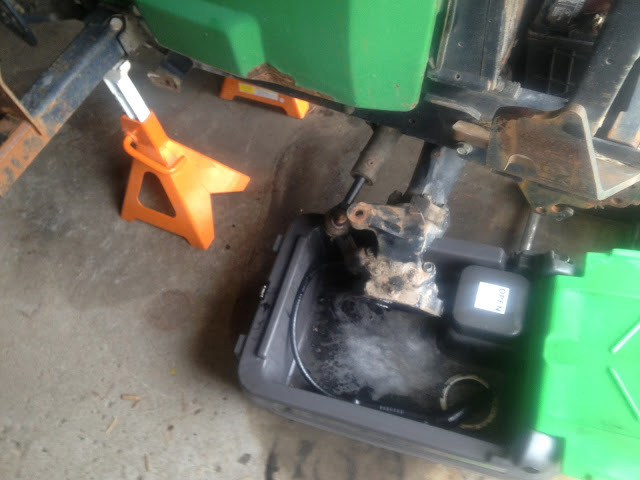 If the equipment being serviced has a 12 volt battery the BenchTop Pro could be run off of it. 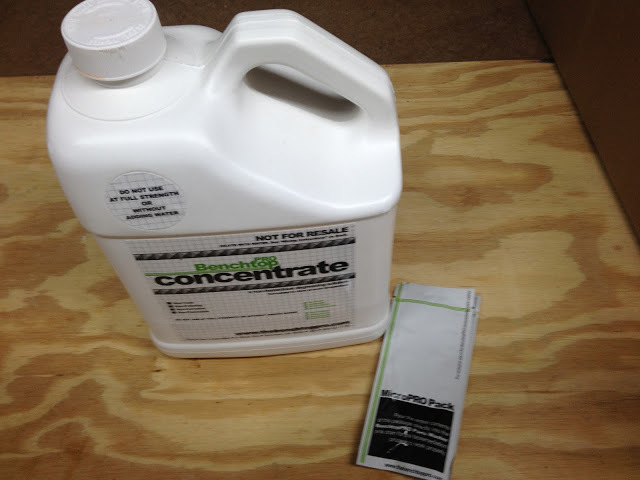 The BT5 and MicroPro is available from ChemFree, 1 gallon of BT5, 4 packets of MicroPro. I did like the brush having the flow control valve on it. This allowed me to set the brush outside the sink area without having to shut the pump switch off. I have always serviced my own vehicles and equipment. 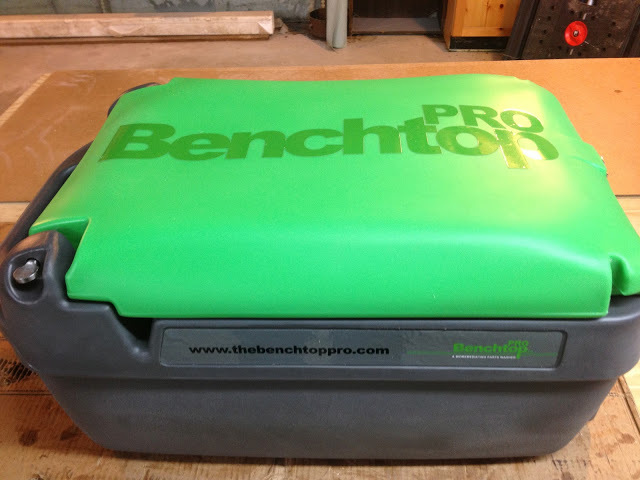 The size and safety of the BenchTop Pro make it a nice unit for a small shop or even a home shop. If the freezing and power issues are resolved, this would be a great field service tool. Thomas is the owner of T & S Construction based in Cedar Lake, Indiana. Thomas was an ASE Certified Master Automotive Technician for over 30 years.